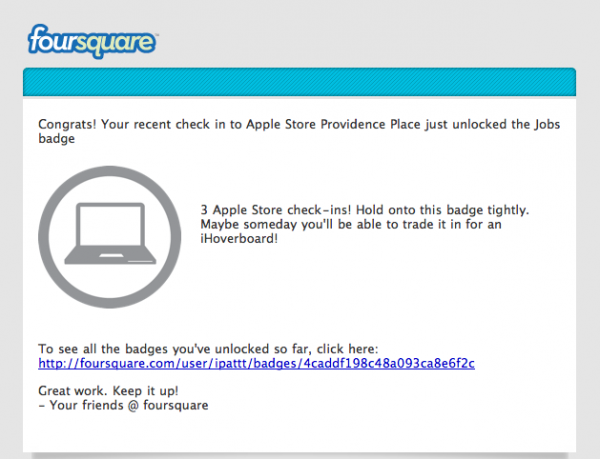 3 Apple Store check-ins! Hold onto this badge tightly. Maybe someday you’ll be able to trade it in for an iHoverboard!